She's a fashionista who is working to make her clothing line a household name. ADOM: Tell me a little bit about Ashley. 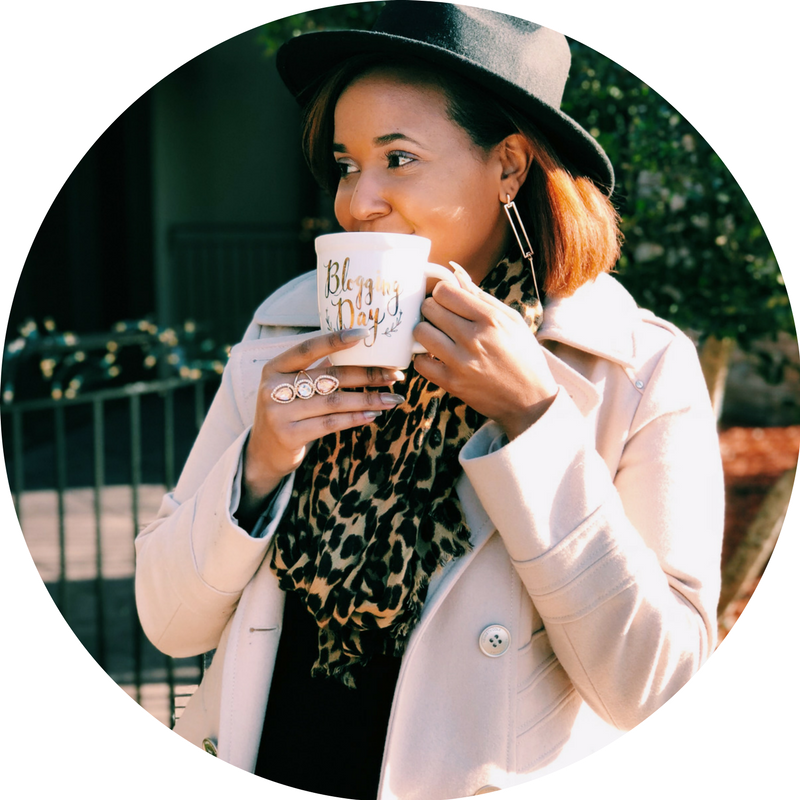 Ashley Marley James: I am a recent HBCU graduate, with a degree in business and economics. I have always had a love for business. My entrepreneurial influence comes from my grandmother, Letha. In her neighborhood and church she sold desserts, soda, candy, and various items. I also inherited my design and fashion sense from my grandmother and aunts. They were excellent designers and sewed outfits that my mother still wears to this day! I officially launched my business, CuteThickApparel.com in August 2016. ADOM: What are some of your future plans/goals? AMJ: My future goals are to be in DC Fashion Week, Atlanta Fashion Week, Dallas Fashion Week, and New York Fashion Week this year. I also plan to expand our brand to include shapewear and signature swimwear pieces this summer. Long-term, CuteThickApparel.com will be a household name and the leader in the plus-size fashion industry. AMJ: My greatest motivation is my family. They have always been supportive of my dreams and instilled in me since a child that I can do anything I set my mind to. My faith and relationship with God has definitely helped me along the way during those tough times faced when starting a business. AMJ: I use my platform to empower women by showing that you can be beautiful, classy, curvy, and have a brain. Women do not need or want to fit into one particular type. We are multi-faceted, dynamic individuals and I intend to show that when you focus and tap into your potential, amazing things will happen. AMJ: The legacy I want to leave behind is that I paved the way and set an example for young African-American girls that they are capable of accomplishing anything. Long-term, I want to be more involved in mentoring and influencing our younger generations through organizations such as The Boys and Girls Club of America and The National Urban League. AMJ: My advice would be to research the market and field that you want to be in and ask yourself why. Then see what changes you would want to make and what your contribution to that industry will be. As far as business ownership, I would start by researching the different business formation types and decide what will fit best. Developing a strategic plan for where you want your business to go over 1-5 years is helpful with staying on track. To keep up with Ashley, follow her on Facebook, Instagram (@CuteThickApparel, @CuteThickChicks, & @MsCuteThickChick), and Twitter (@CuteThickShop & @MsCuteThickChic). Be sure to check out her website www.CuteThickApparel.com.